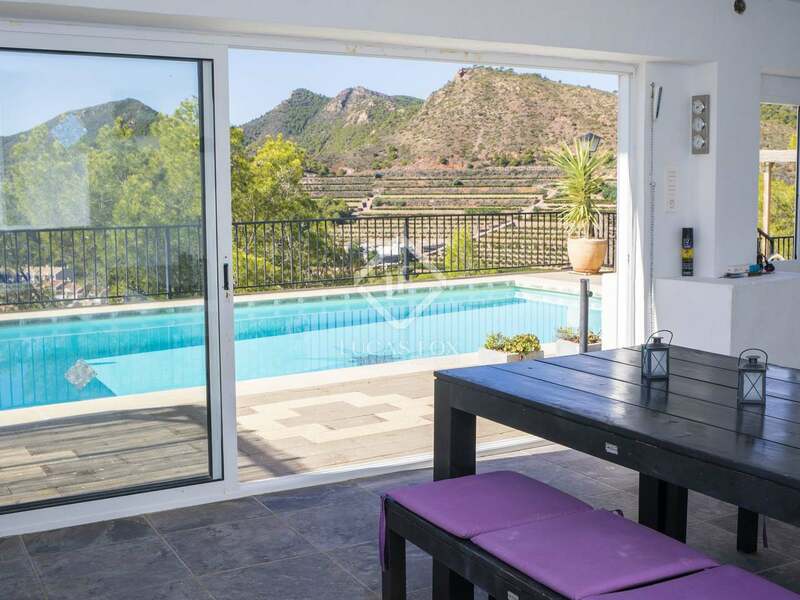 This villa stands in a privileged location on top of a mountain and is built across three floors, to match the structure of the mountain. 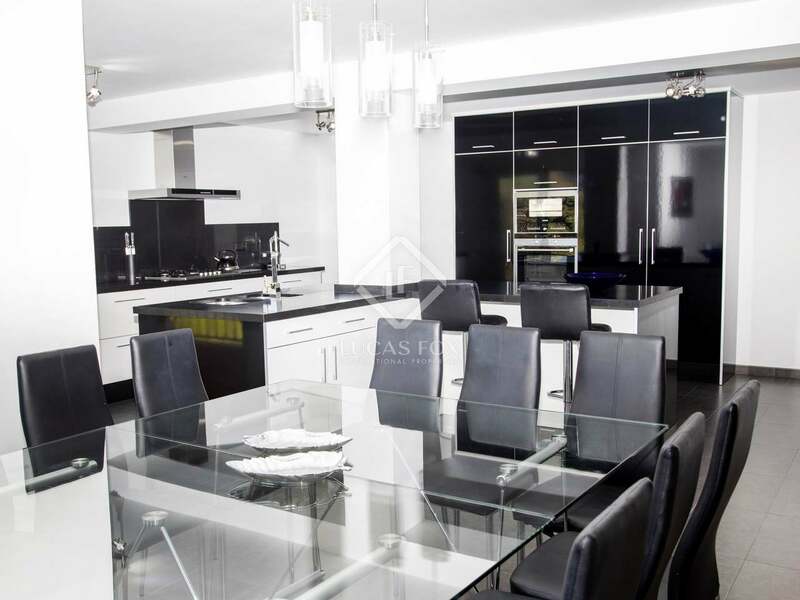 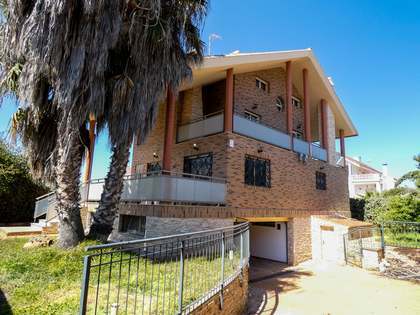 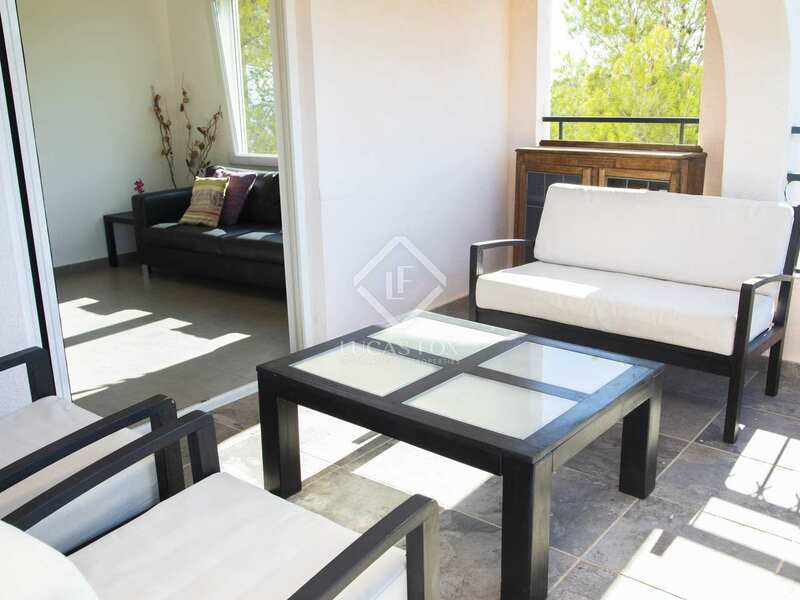 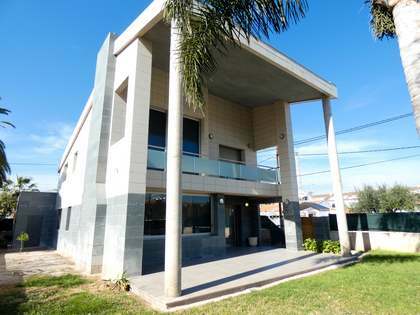 The property has a built size of 545m² and is on a plot of 1,137 m². 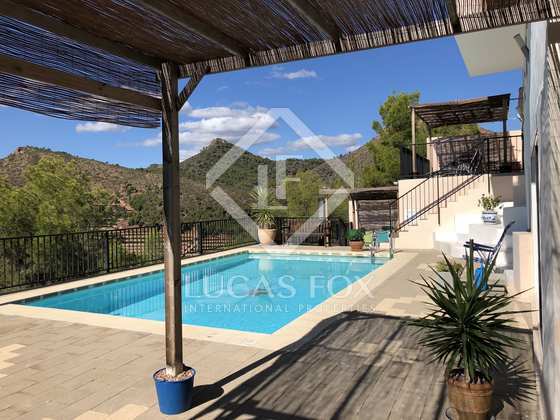 Every area of the house is comfortable and warm with a number of private terraces, as well as spacious and practical spaces which offer lots of possibilities. 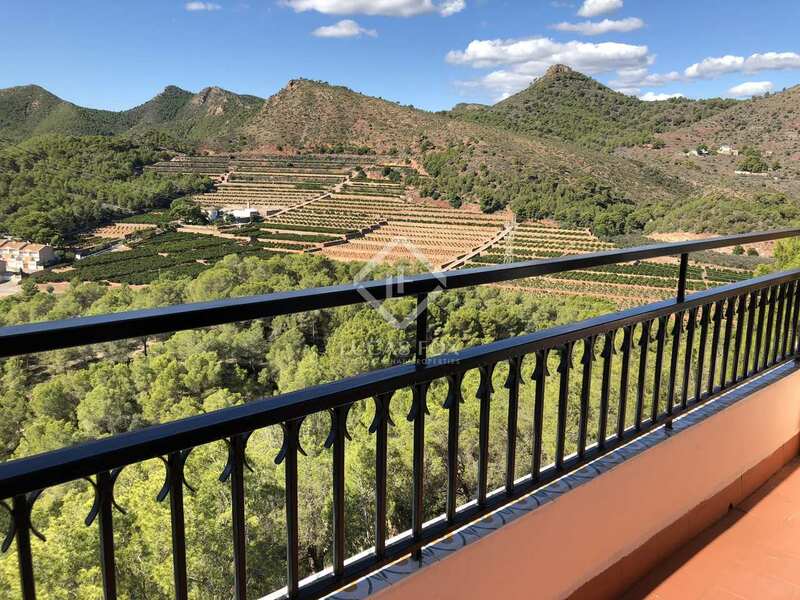 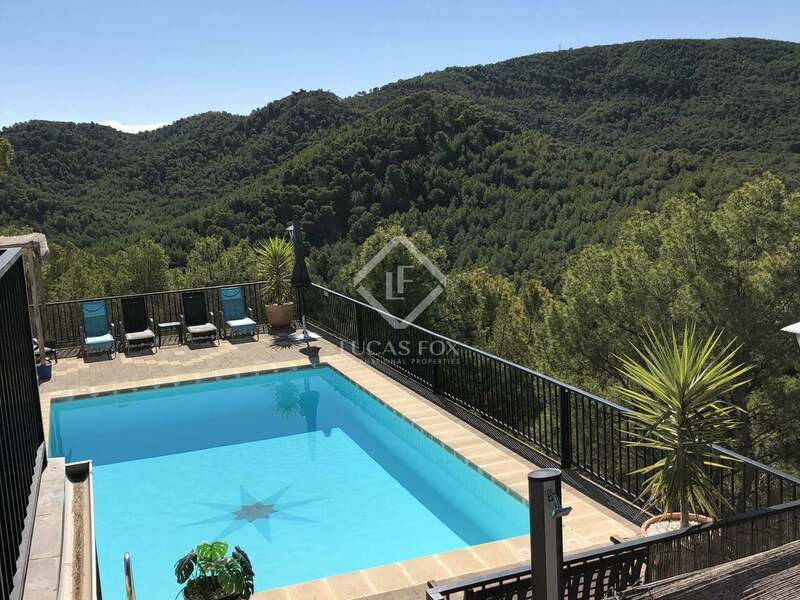 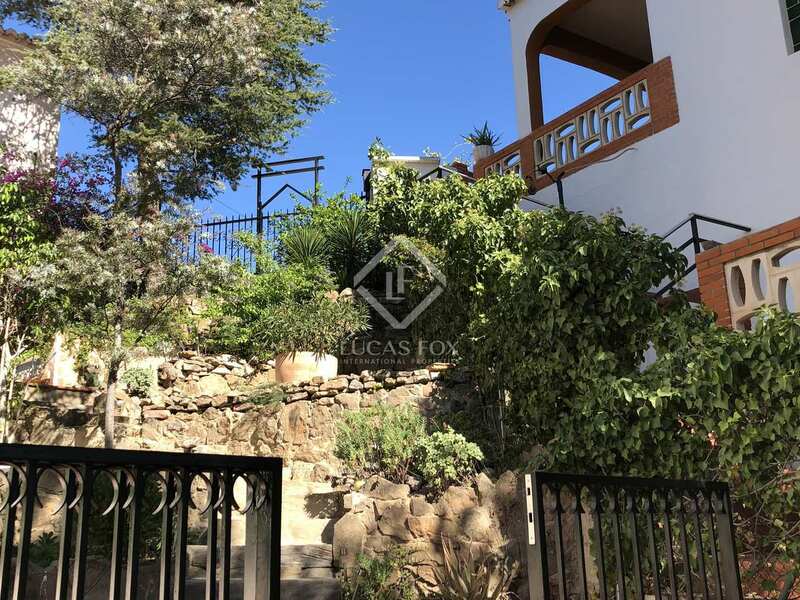 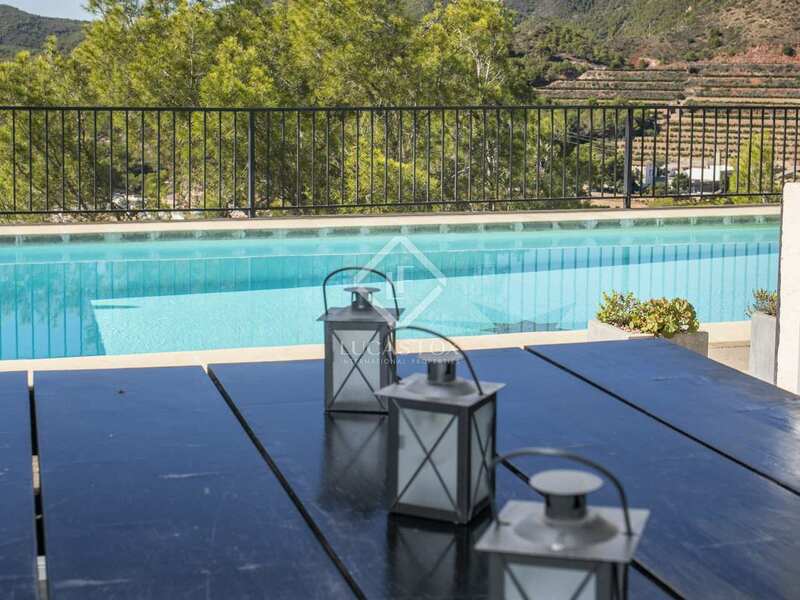 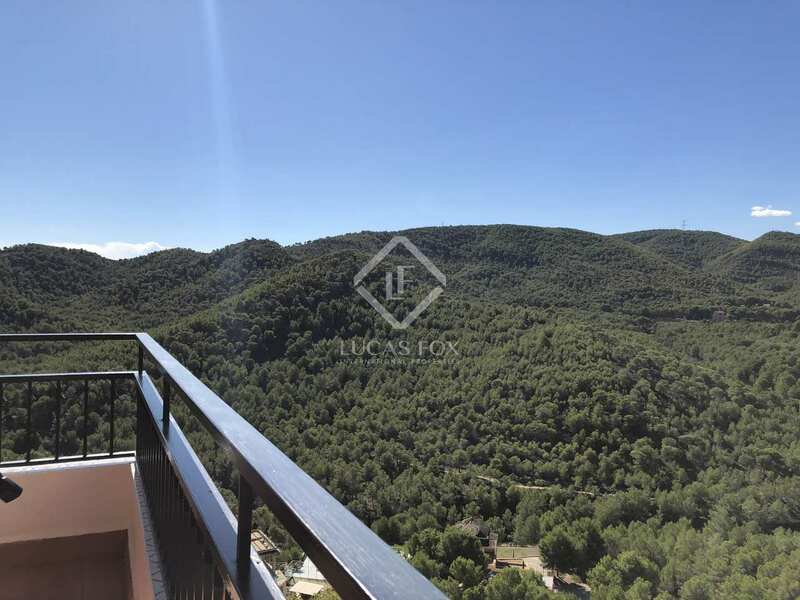 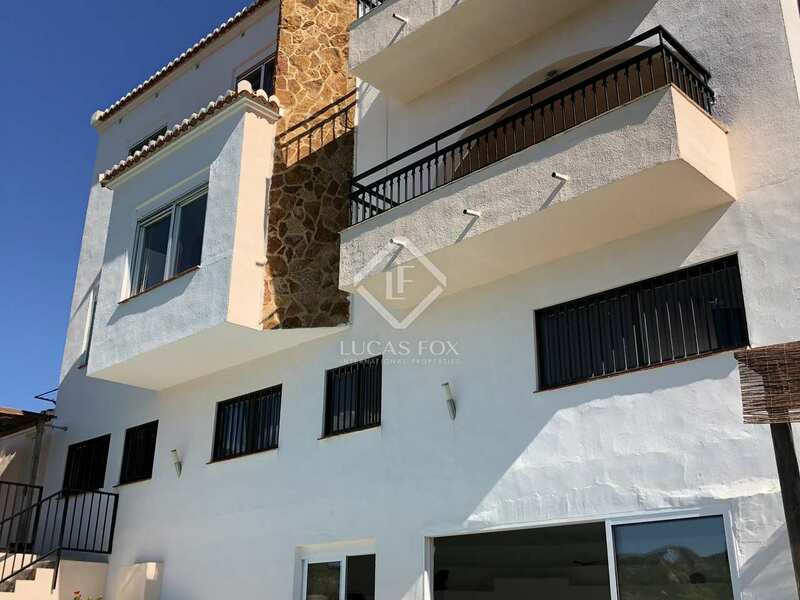 Being the last house on the top of the mountain, with no possibility of major building in the surrounding area, there are privileged views of the Sierra Calderona. 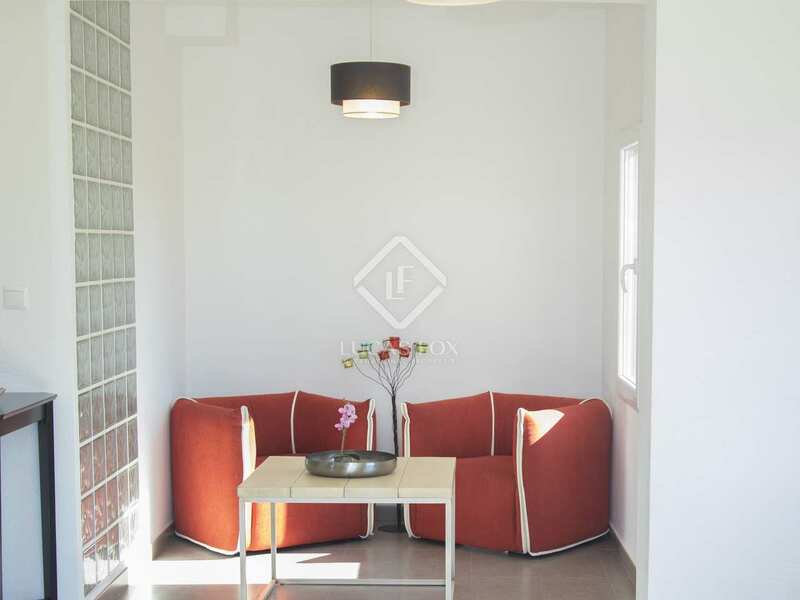 The main living spaces are on the first floor, without any division between rooms. 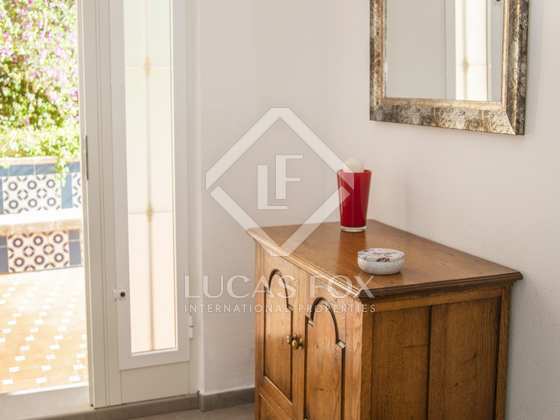 Here we find a spacious living room with a private balcony, a dining room and a kitchen with an island, fully equipped and furnished. 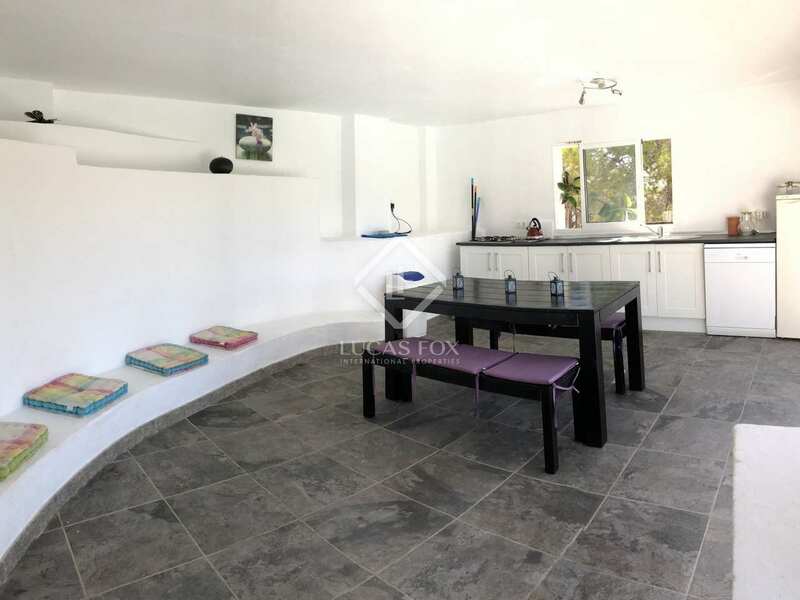 For convenience, the kitchen has a large pantry, and a cloakroom completes this floor. 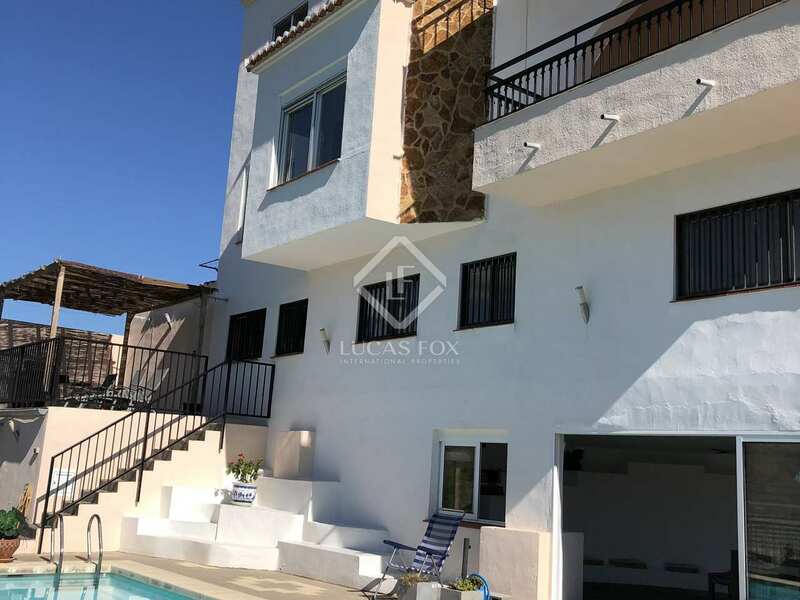 A wide staircase gives access to the second floor where there are 4 exterior facing, double bedrooms, including the Master bedroom with en-suite bathroom. 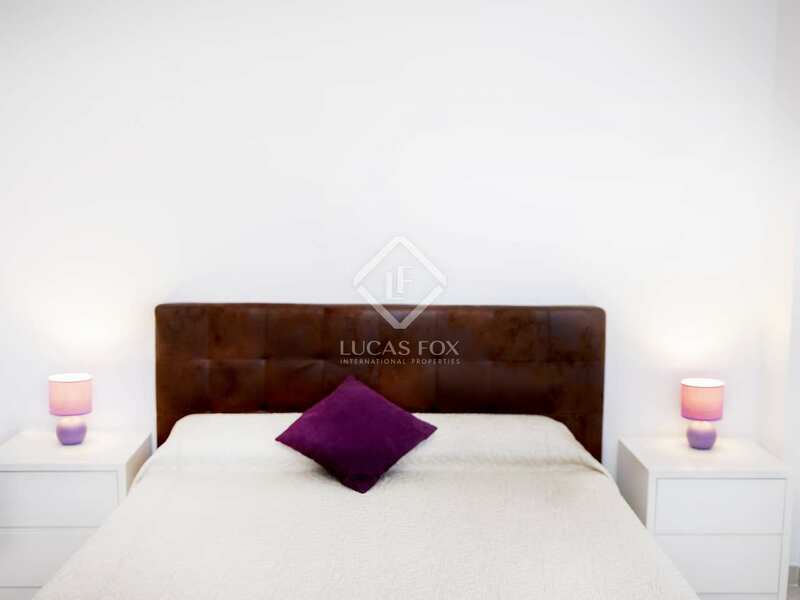 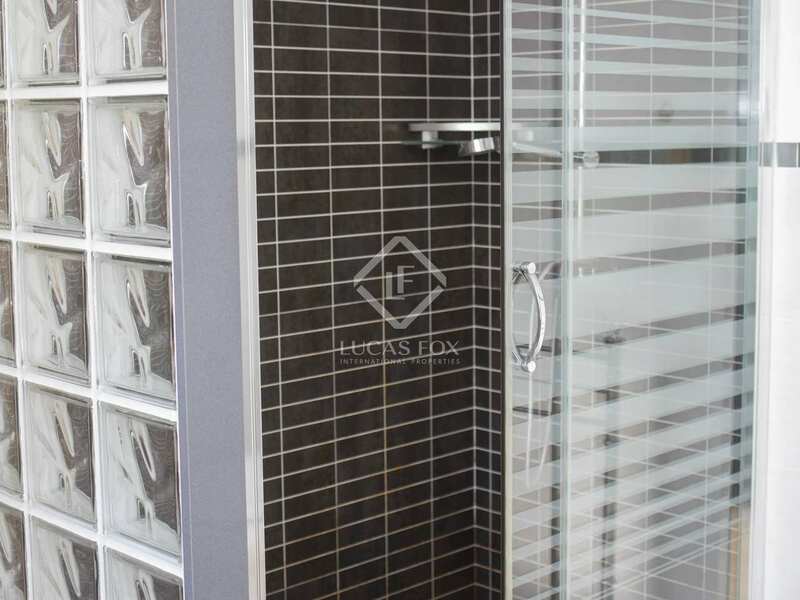 A family bathroom serves two of the remaining bedrooms, and the fourth bedroom has its own en-suite bathroom. 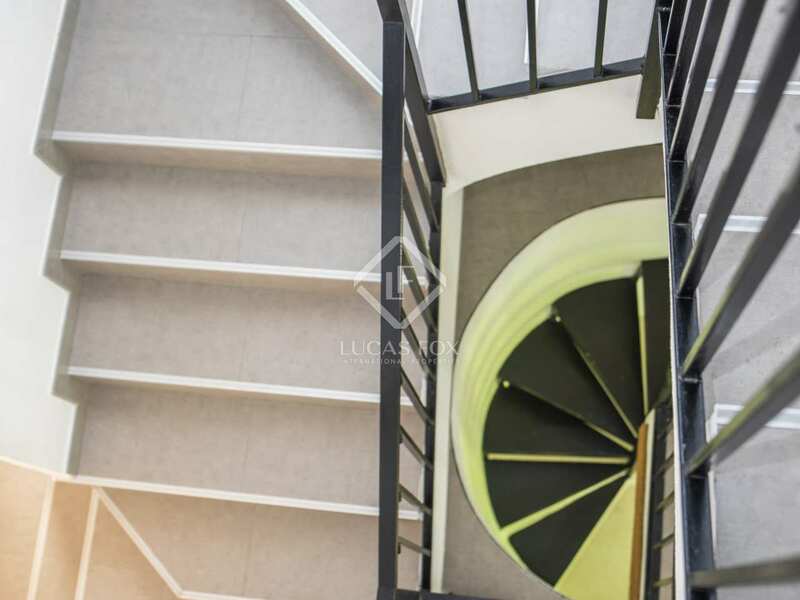 We access the ground floor by a spiral staircase. 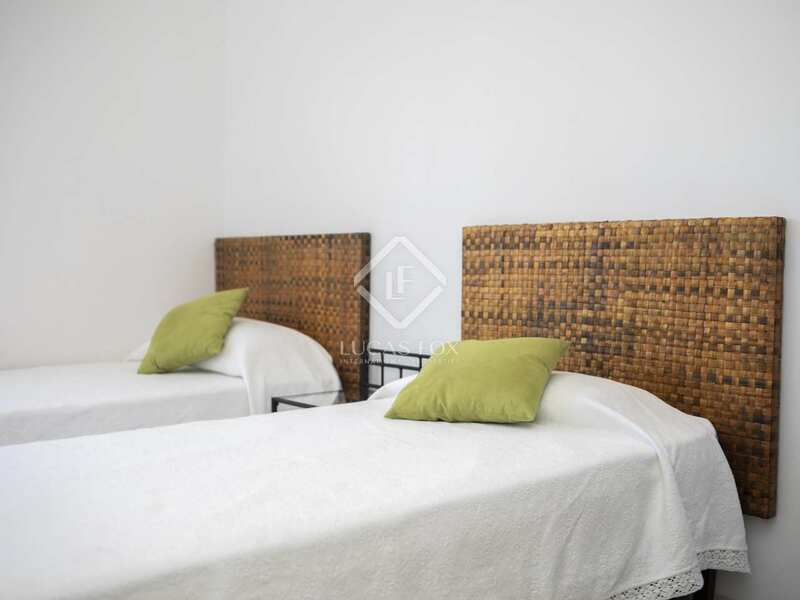 Here there are two further bedrooms and a small office, as well as a multipurpose room and two bathrooms. 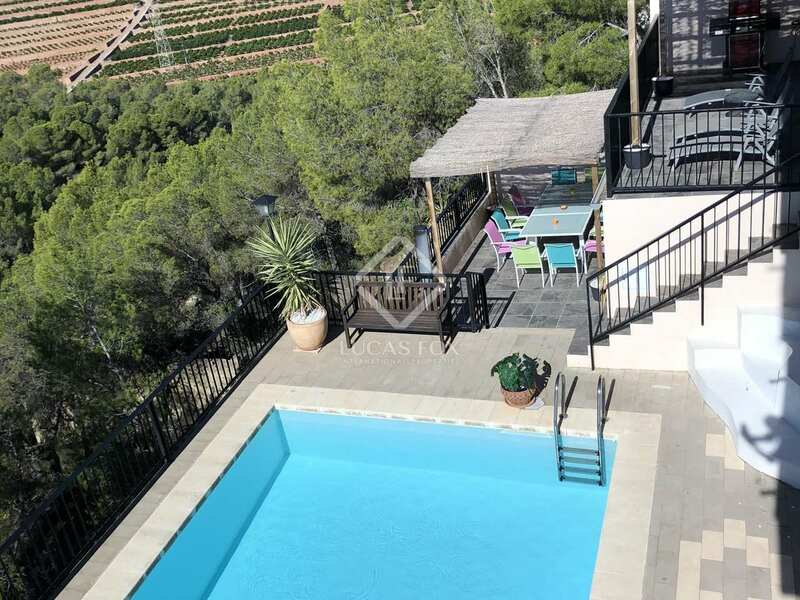 From here we access the garden and the pool area with solarium. 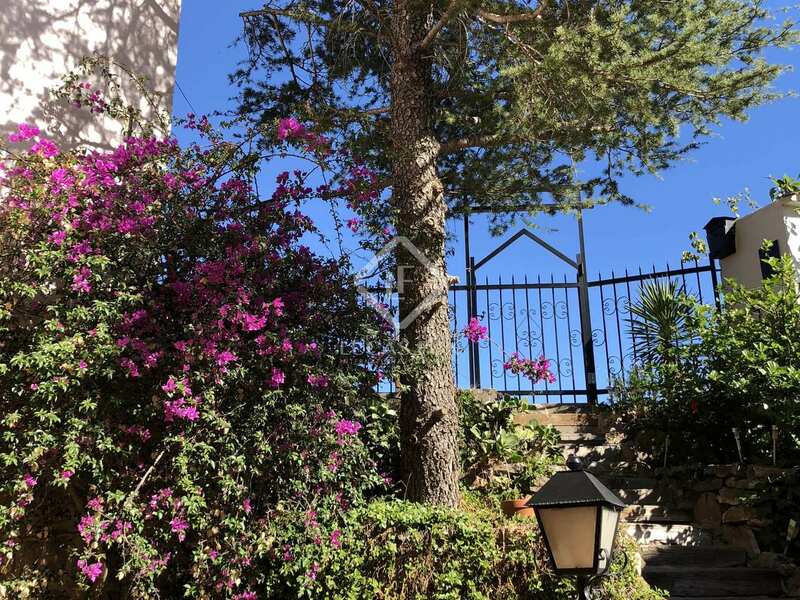 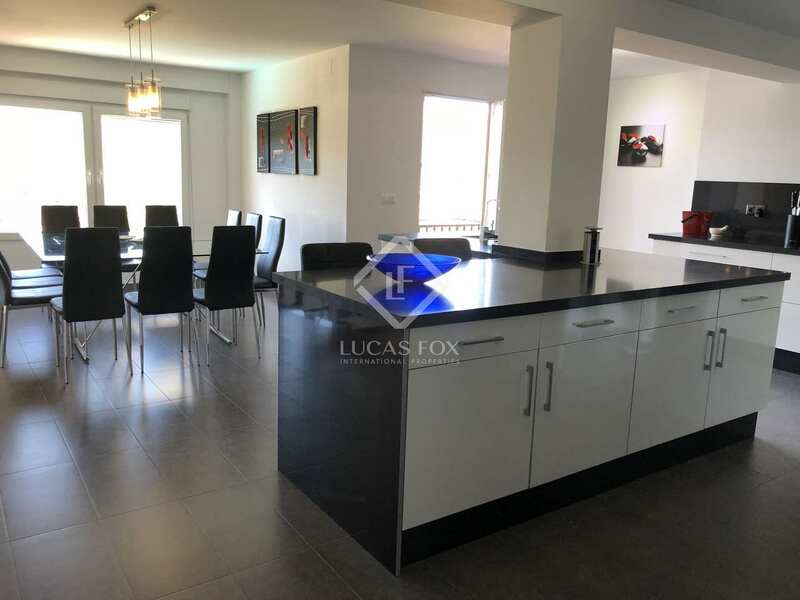 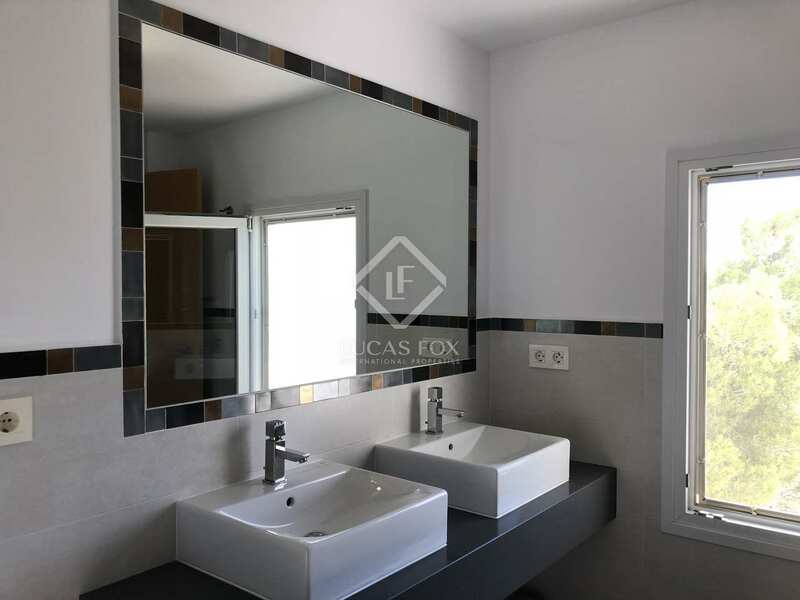 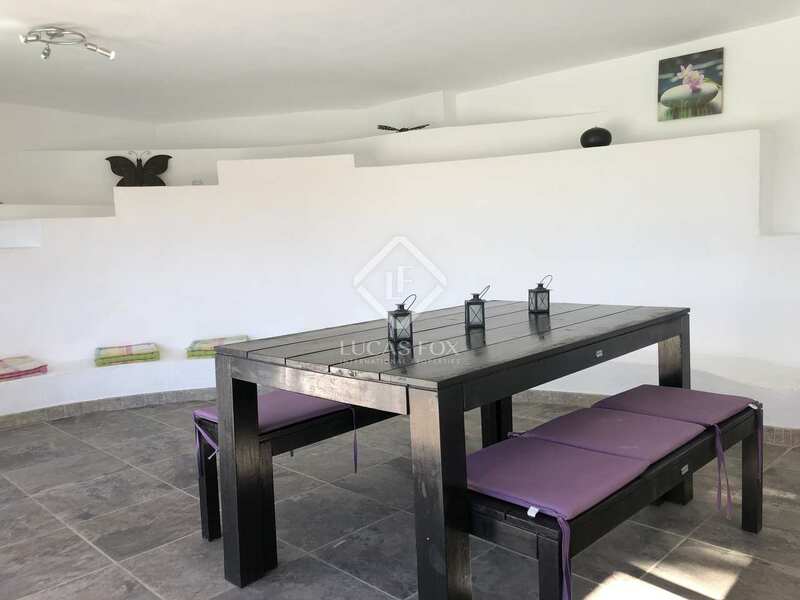 In addition, we find two terraces at different heights and a covered living room with a fully equipped kitchen that makes this space the ideal place to enjoy wonderful sunny days in this area. 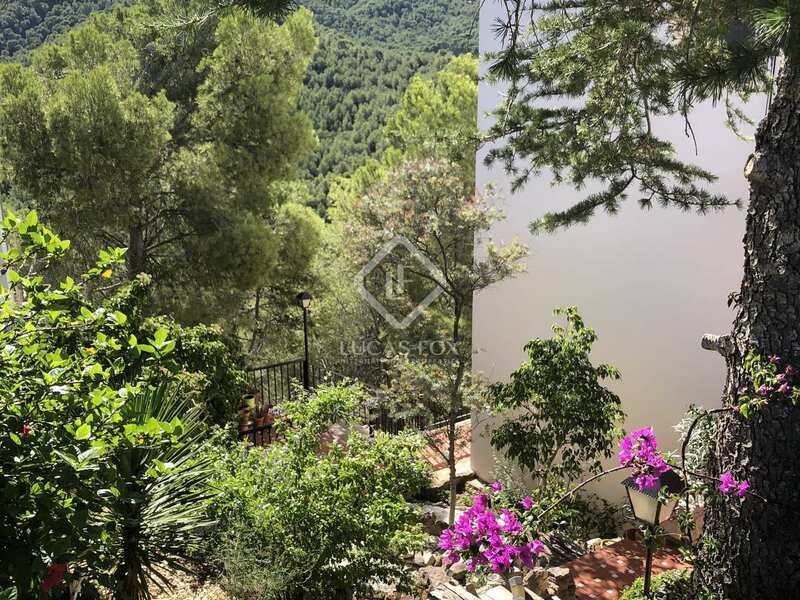 The garden reflects the uniqueness of the area through its gradient and its vegetation. 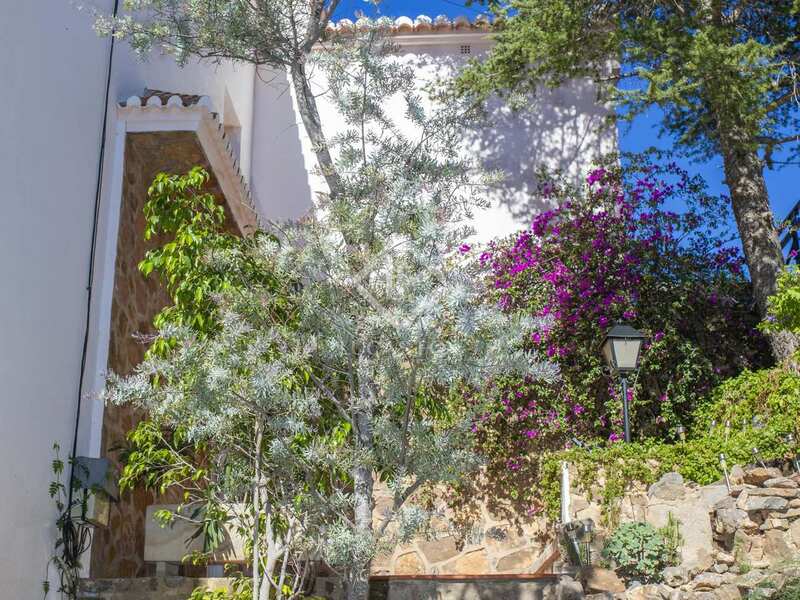 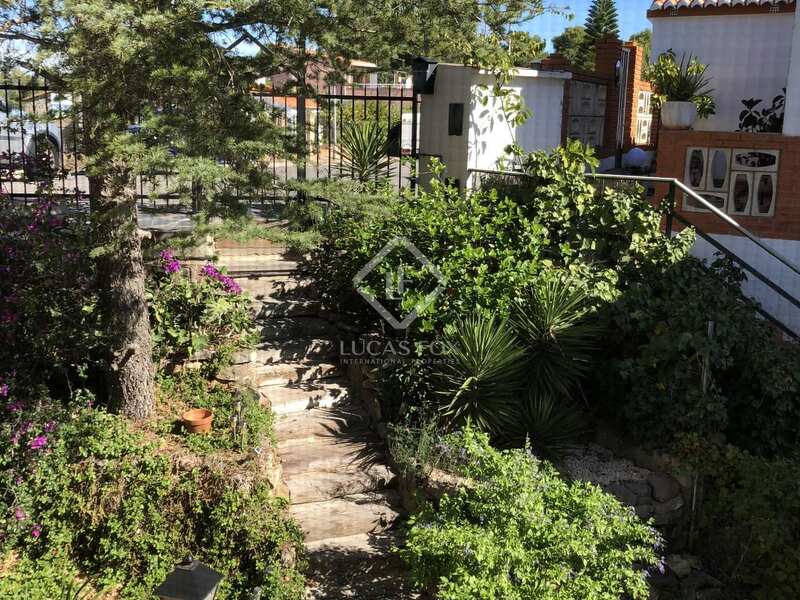 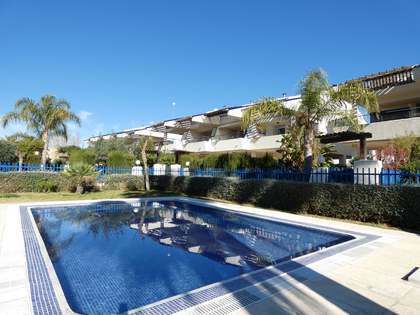 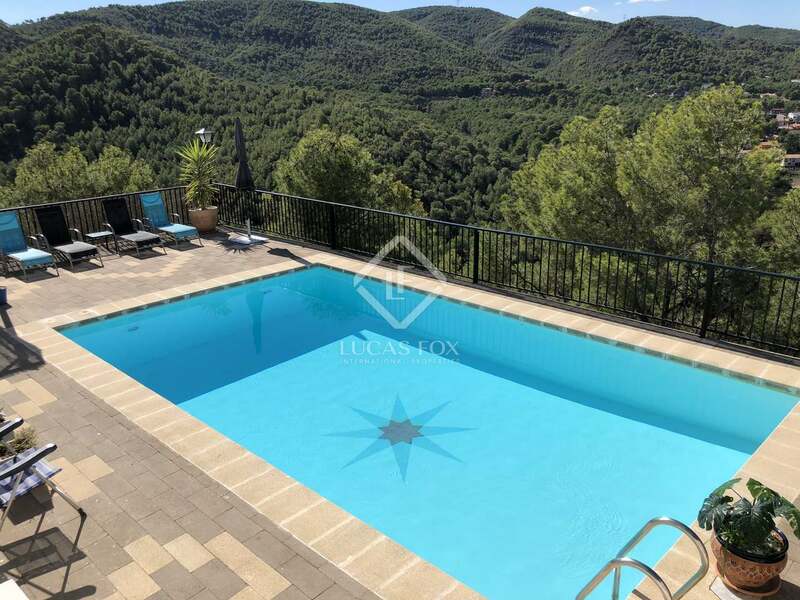 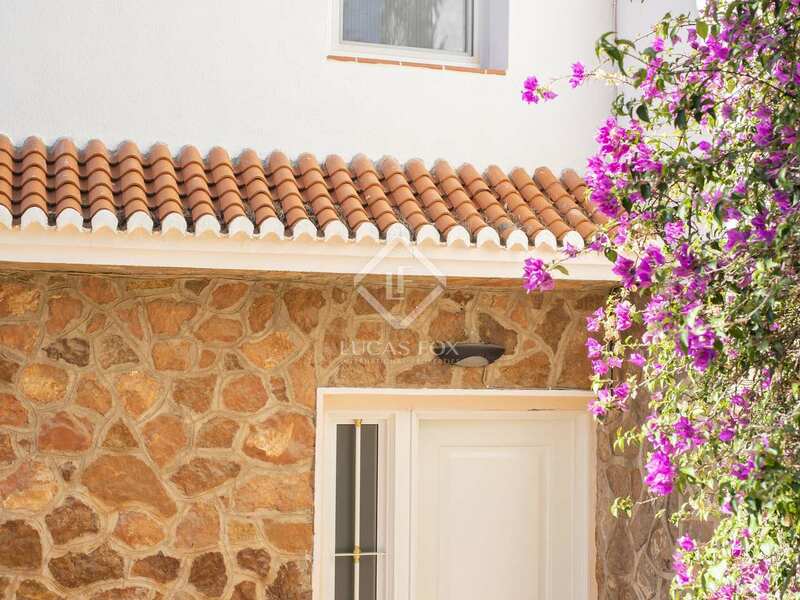 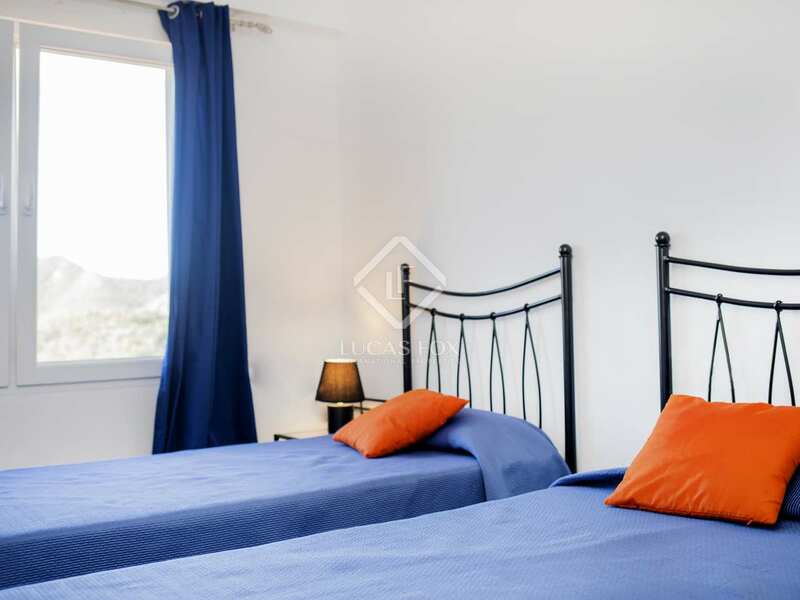 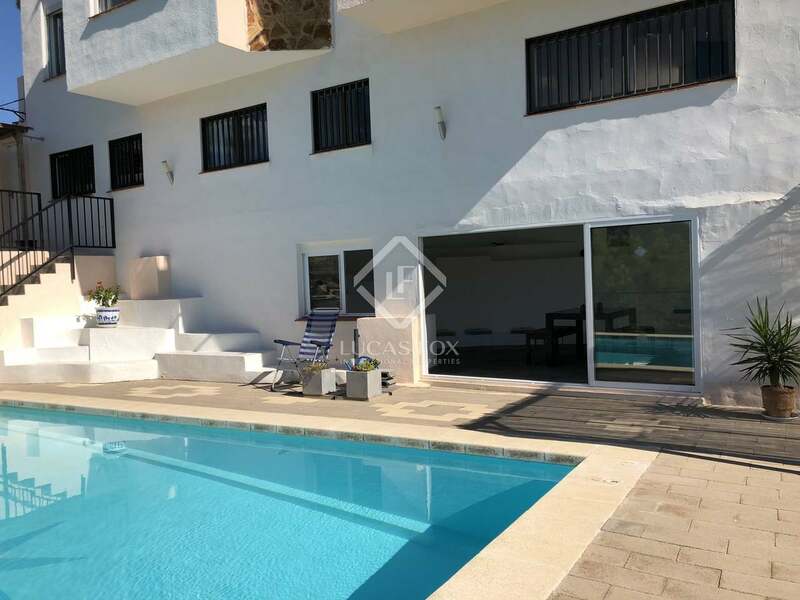 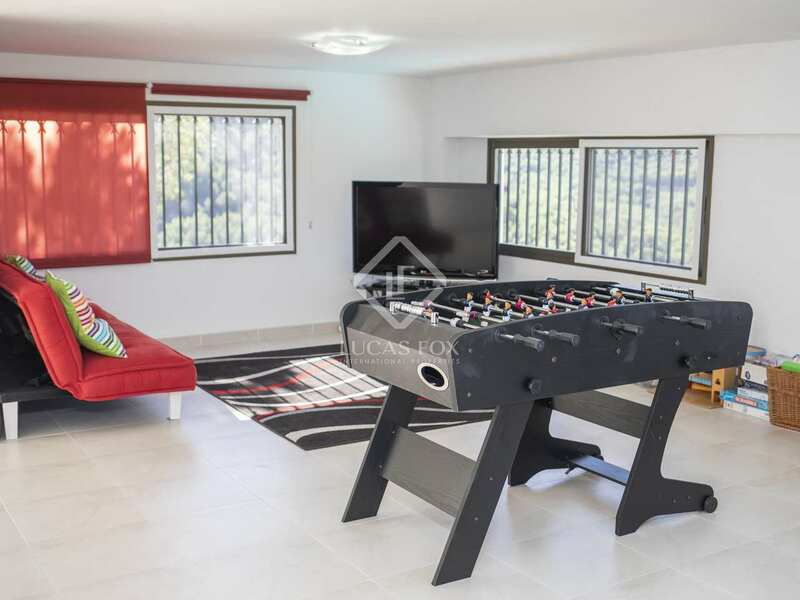 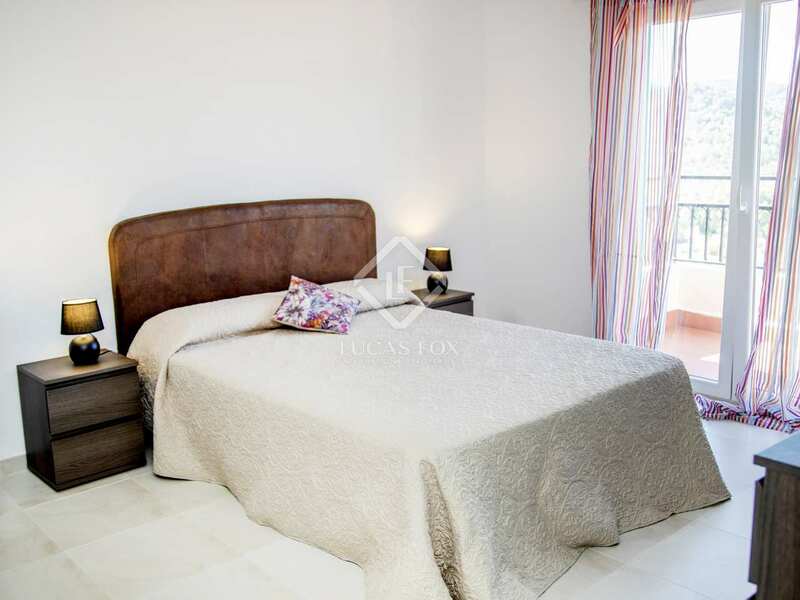 This beautiful villa is ideal for anyone who wants to escape the stress of the city whilst remaining close to amenities and services; the residential area is just 2 km from the city of Sagunto, 10 km from the beach and 25 km from the city From Valencia. 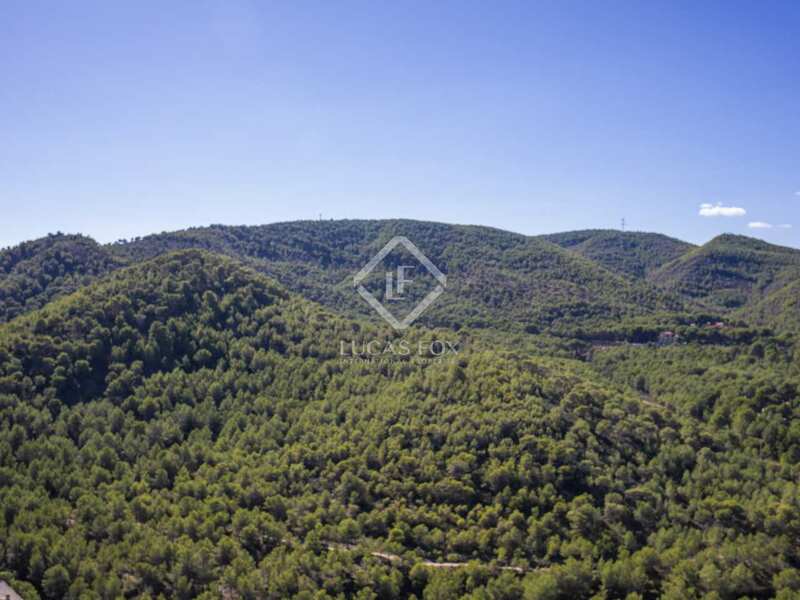 An ideal home for lovers of nature, mountain sports and tranquility and comfort. 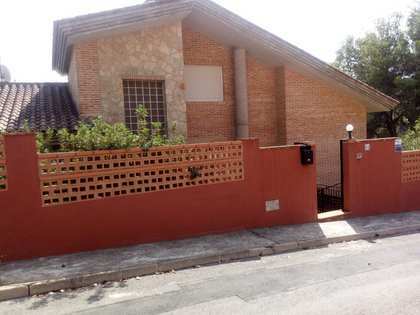 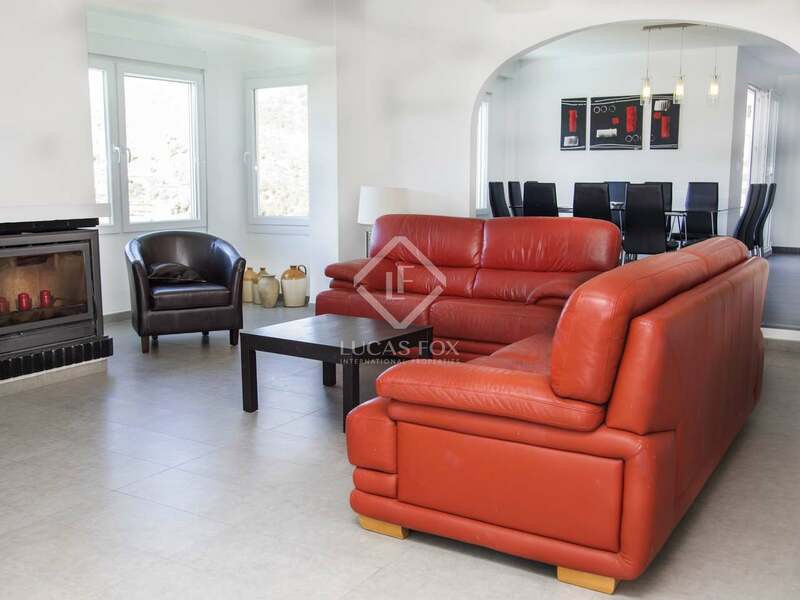 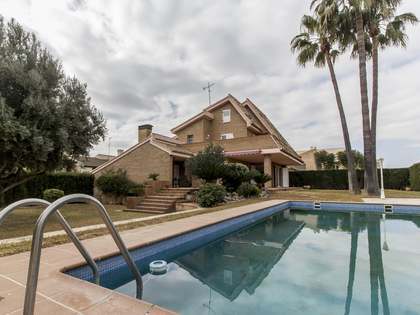 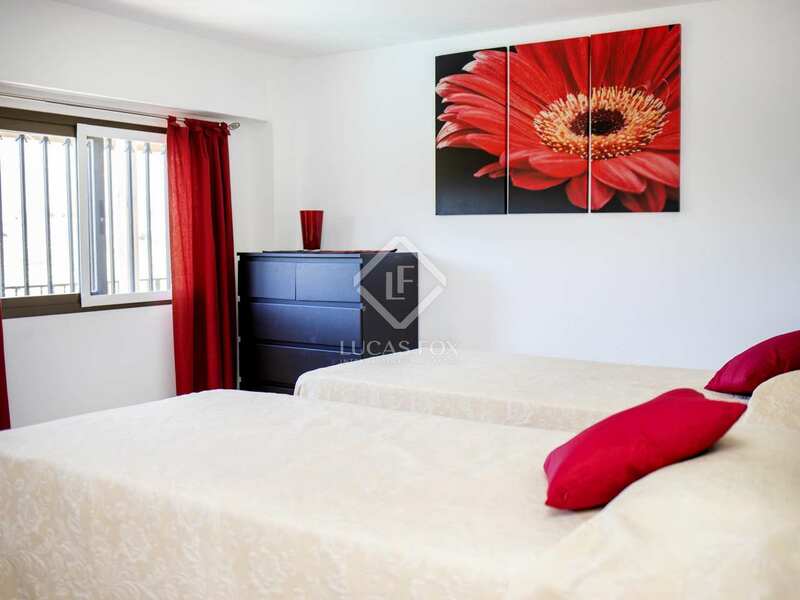 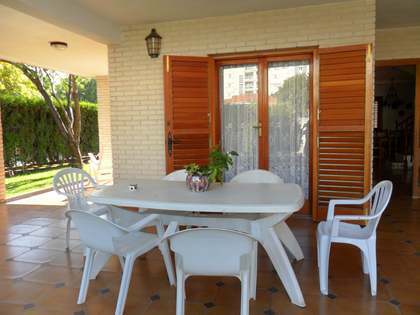 The villa is located in the town of Gilet, Valencia. 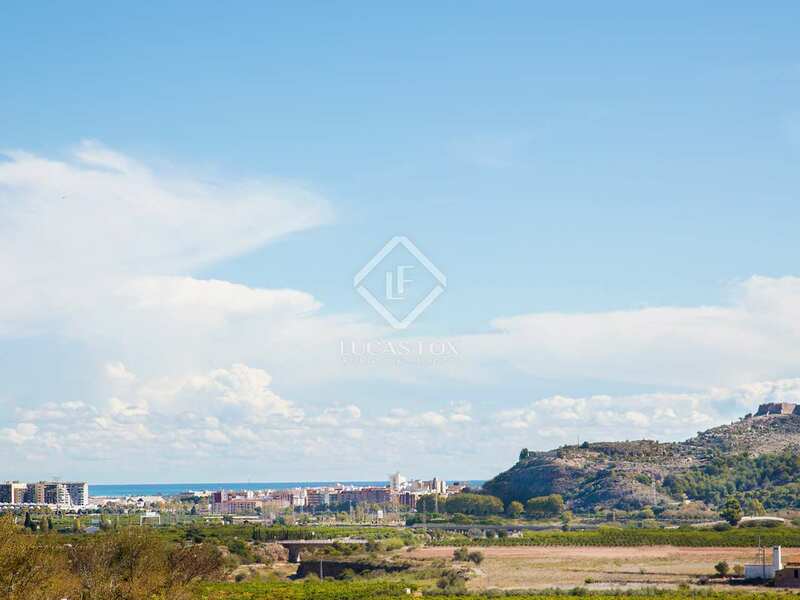 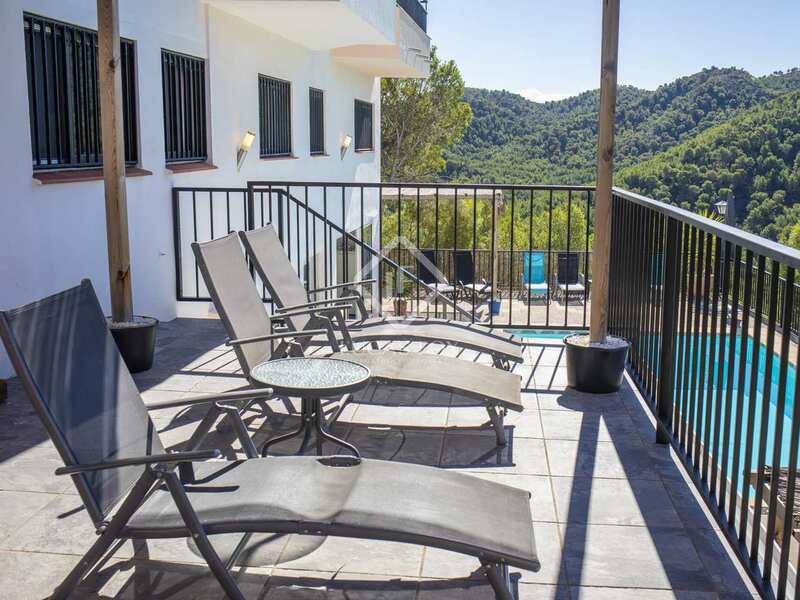 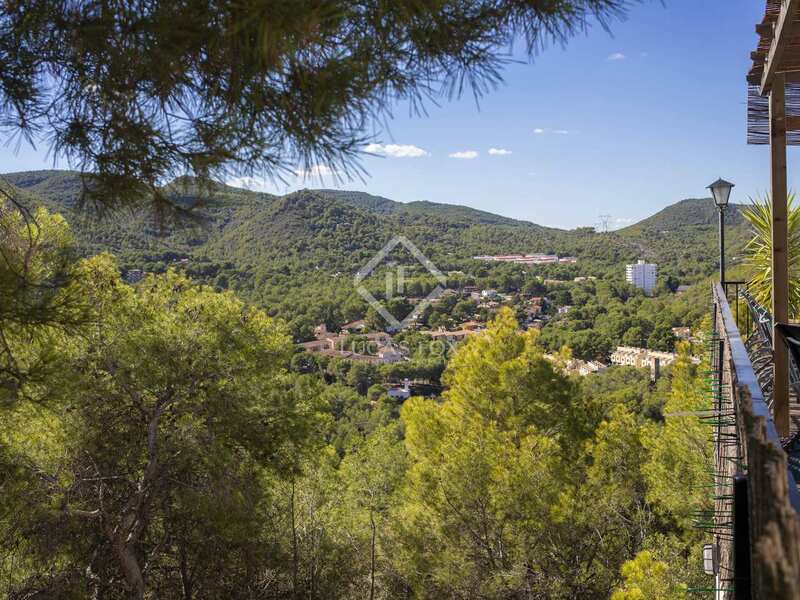 In the Sierra Calderona, 2 km from the city of Sagunto, 10 km from the beach and 25 km from the city of Valencia.